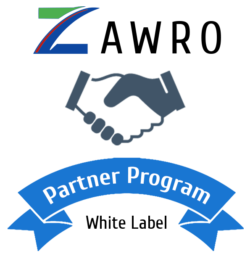 What’s the process of Zawro’s White Label Partner Program? Zawro will email you our contact details for Skype, Line and Viber. You can add us on one of the free apps Skype, Line or Viber, or you can send us your details and we’ll add you. You as our Partner gets the Scope of Work from your Client. You can use our One Hot Method to get the Scope of Work. Zawro also provides free training to our Partners to train you to get the Scope of Work yourself if you want to. Zawro does a detailed quote from the Scope of Work. There’s no branding on this as Zawro’s service is all White Label. Zawro’s work is also guaranteed, so you get peace of mind. The job guaranteed to be completed and within budget, and then you pay us. Once you’re happy with the quote, you sign the quote agreement electronically (instructions on how to do this will be provided, but it’s just an electronic signature that gets generated when you agree). Zawro will start the work once you’ve agreed on the quote. We’ll keep you updated regularly, so you know what’s going on. Once the work is completed, Zawro will test that it’s working on our testing environment. When this is successfully, Zawro will implement and make sure everything’s working. Zawro provides free support 7 days per week, to make sure everything runs smoothly. With technology, things can go wrong, and we’ll be there if it does. If it’s Zawro’s fault, we’ll fix it free of charge. If it’s not Zawro’s fault, we will have to charge this cost to you. Some examples of fault that’s not ours could be your Client upgrading their software, and it’s causing problems, or maybe credentials was changed. In 80% of cases, the fix is very quick and easy (less than 30 minute’s work). If it’s a major fix, we’ll have to let you know first, before fixing. Zawro will provide you a report of our findings.